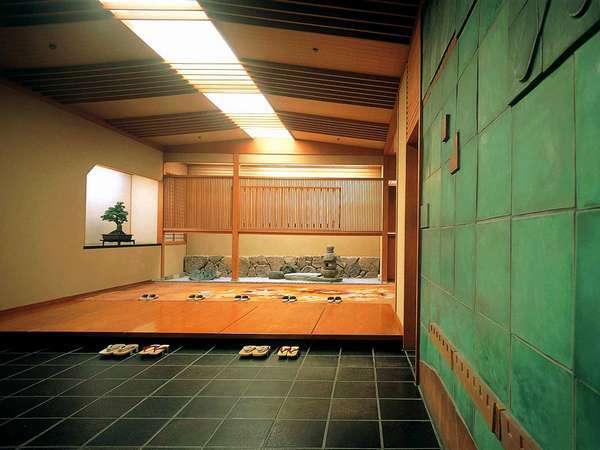 Hanamurasaki has only 29 rooms in 7200 square meters building floor area in total. Cuisine and vessel are selected and taste of long history subtlety. 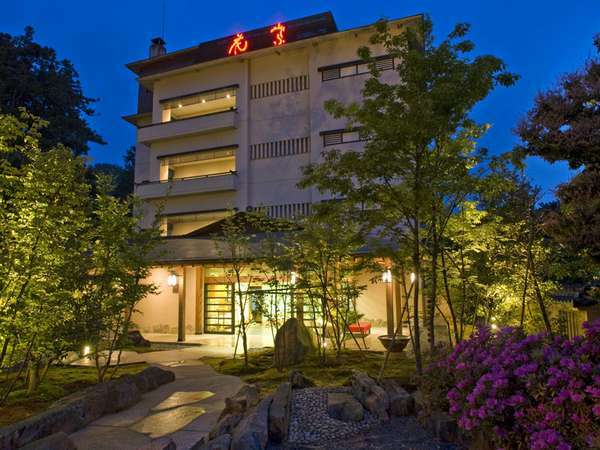 It is a comfortable Japanese-style inn and has main bath and open-air baths located on the top floor, commanding the gorge. 30 minutes on bus from JR Kaga Onsen Station bound for Yamanaka Onsen. 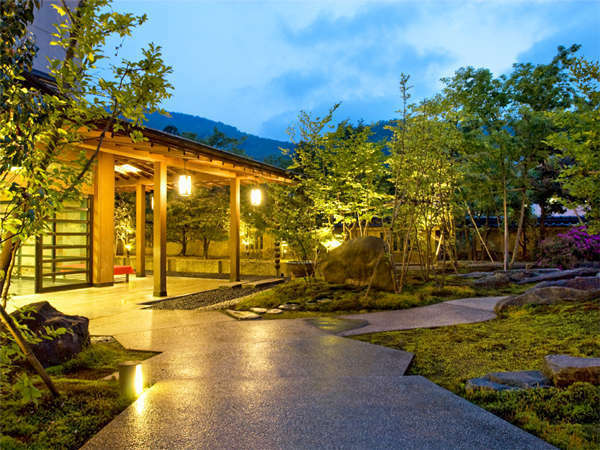 Get off at Yamanaka Onsen and 3 minutes walk. 20 minutes by taxi from JR Kaga Onsen Station.